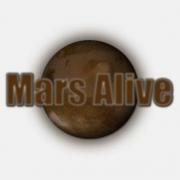 MARS ALIVE - Searching for life on Mars! In this image, we can see what looks like a human type being on the surface of Mars, Possibly female. Let me know what your thoughts are on this Mars Anomaly in the comment section below.